If you travel a lot, especially internationally, a new worry being added to the pile is the threat of being forced to unlock your phone for a customs agent. 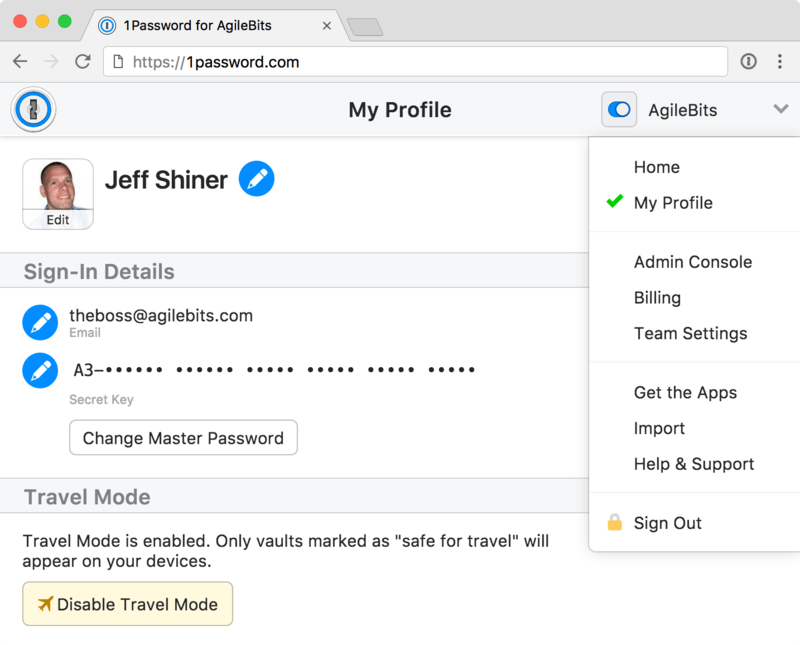 1Password has a handy solution for this in the form of Travel Mode, which temporarily deauthorizes a device to access your passwords and accounts. It’s pretty simple: Before you head out, you bundle into a “vault” (it’s the 1Password terminology) marked “safe for travel” the passwords you do want access to. When you hit the button for travel mode, all the other passwords you’ve saved will be completely removed from your device. So while a nosy border guard might get at your personal email and LinkedIn, if you selected those as safe for travel, the others will be beyond their reach — and yours, as presumably you haven’t memorized all those 16-character nonsense-generated passwords. Once you’re safe at your hotel or home, you turn off travel mode and all those passwords are restored. Administrators can control this too, so there’s no need to trust that employees will use it right. It’s conceivable that customs might ask you to disable the mode, but that’s pretty advanced stuff and this is a convenience feature for travelers, not a bulletproof mode for secret agents. You can find more specifics at the support page here.